Welcome to our website. The Hamlet of Fort McPherson provides municipal services to over 900 residents of Fort McPherson, Northwest Territories. The purposes of this website is to provide communications between the Hamlet government and residents, business, visitors and other levels of government. Use this site to find out information about the Hamlet government, our services and other important Hamlet information. Use the contact form to ask questions or provide input. 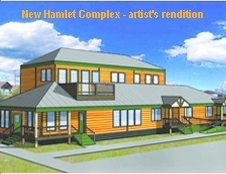 Hamlet Council has approved its 2010 Integrated Community Sustainability Plan. With the input and guidance of the residents of Fort McPherson, we have completed the plan, which will guide us during the coming years in building a sustainable community. We can't do it alone, and need everyone's help in achieving the goals outlined within the document. Residents are free to download a copy from our ICSP page here . Please tell us what you think. Thank you to everyone who made input.